Photo of wild bears, grizzly bear in Knight Inlet photographed on a bear watching tour in British Columbia, Canada. The Knight Inlet is a easy approachable adventure travel location and a very good place to see wild bears from bear watching tours. 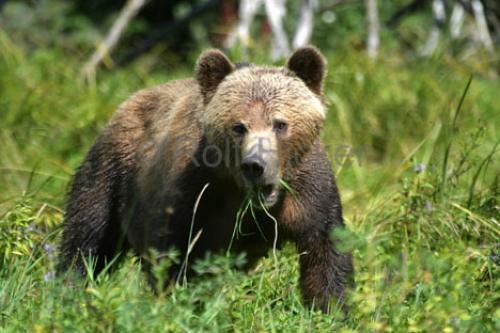 If you are into adventure travel then you also should check out some locations in Alaska, a beautiful holiday place to watch wild bears is Katmai National Park, wild bears can be almost guaranteed in Katmai National Park, Alaska.